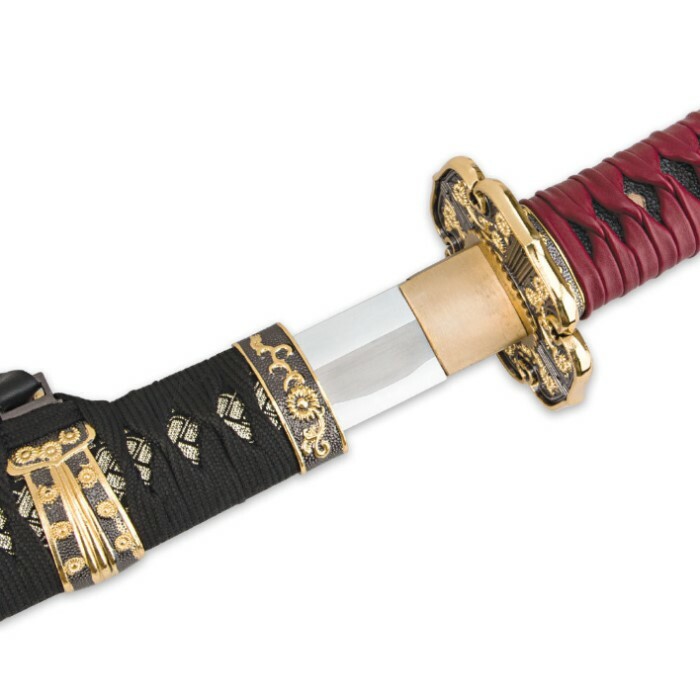 The Jintachi Ceremonial Sword is an elegant and intricately designed katana. Front the gold accented habaki to the beautifully lacquered burgundy sheath, it is the complete package. 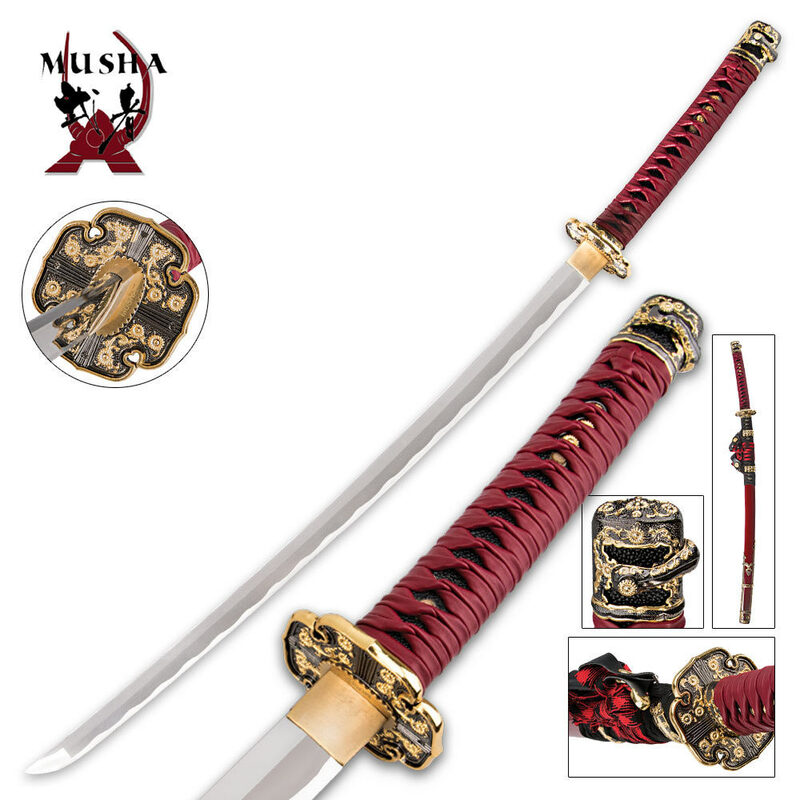 The blade is made of 1045 forged steel. The sword is 43 1/4" in overall length. .
Just got my jintachi and I love it. As an avid collector and practiced swordsman, this is much nicer than I was expecting. Although it is my first ten ryu sword. I tested it and it cuts as cleanly as my 1095 tachi. Very pleased! 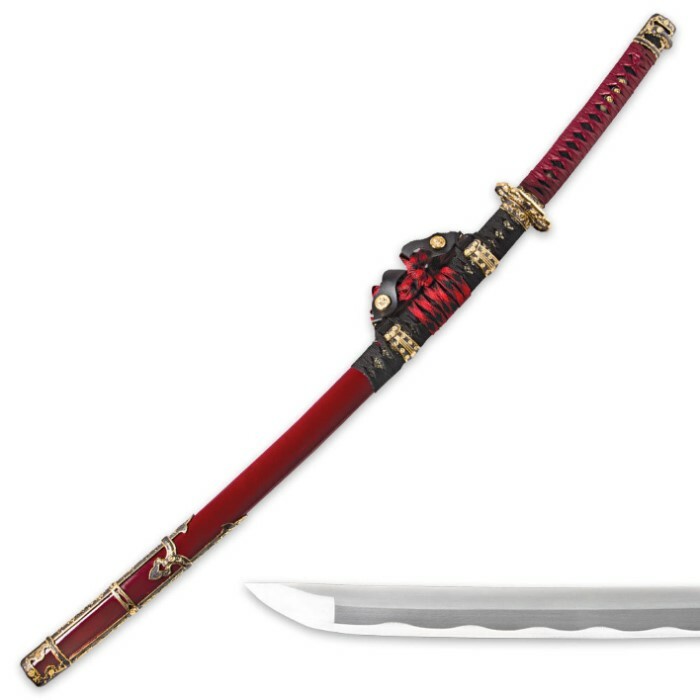 Did not, and will not test the durability of the blade due to it being so beautiful to look at-- but I can tell you guys that this is truly a beautiful work of art. Handle feels and smells like leather wrapping, with nicely done brass accents covering the blade from the sheath to the hand guard (forgot the name of the actual name for that term for these blades). The pommel appears to be brass as well. Such a bringer of joy to hold in my own two hands, but that's just my impression on receiving such a blade.